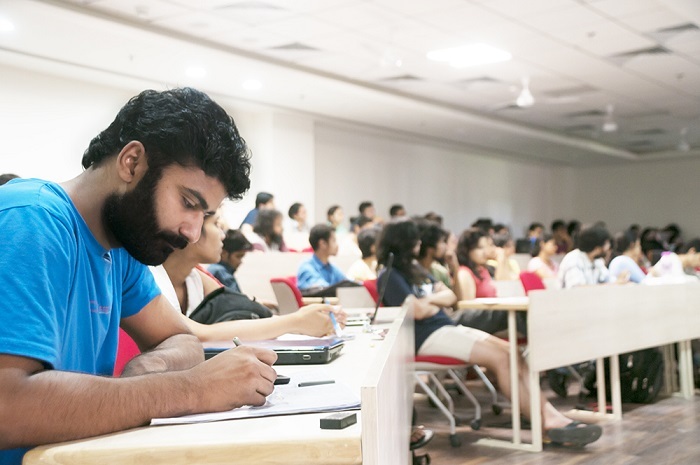 Ashoka University, a pioneer in liberal arts education in India announced the deadline for its third and final round of admissions for the undergraduate programme to be June 16, 2017. Ashoka offers a multidisciplinary undergraduate programme in the interest of exposing students to different perspectives in and out of the classroom. Students work towards a three-year B.A. (Hons) Or B.Sc. (Hons) degree at Ashoka, choosing from a variety of pure and interdisciplinary majors. A fourth-year postgraduate diploma programme is also open to all Ashoka graduates who would like to conduct further research in an academic discipline of their choice or an internship in the social sector. The holistic admission process ensures that students are not evaluated only on their board exam scores. A comprehensive application takes their Grade IX to XII marks, co-curricular and extra-curricular activities, social work and other achievements into consideration. Students can also share their SAT or ACT scores and a letter of recommendation that can supplement their application. Based on this application, a candidate is then shortlisted for a personal interview. On the day of the interview, all applicants have to also appear for a mandatory on-the-spot essay and an optional Ashoka Aptitude Test (AAT). The AAT is a 90-minute test that has three sections: verbal, quantitative and analytical reasoning. To get a firm offer of admission from Ashoka, an applicant needs to have taken the SAT/ACT or Ashoka Aptitude Test (AAT) or have their final class XII board scores. Ashoka started their undergraduate programme in the year 2014. The founding batch graduated this May with 118 students on its campus in Sonipat, Haryana. 85 percent of the graduating students will return to Ashoka for a one-year Postgraduate Diploma in Advanced Studies and Research (DipASR). Some students will be going abroad to pursue a Master’s degree to universities such as the Graduate Institute of International and Development Studies in Geneva and SOAS London. Two students have been selected to work at Citibank as Graduate Management Associates. 42 percent of the founding batch students went to study abroad for a semester to universities such as King’s College (London), KoC University (Turkey), Sciences Po (Paris), NUS (Singapore) and University of California (Berkeley). 66 percent students of the founding batch studied on need-based financial aid. Scholarships worth INR 11 crores were awarded to the first batch at the time of admission. Some of the other academic achievements of students include names like McPherlain Chungu who presented a paper on the role of the media as a tool to address gender inequalities in Sub-Saharan Africa at the 24th World Congress of Political Science in Poznan, Poland, in 2016. Narmada Varadarajan, a student in Mathematics received a place in the prestigious ‘Budapest Semesters in Mathematics’ programme, which has a long history of nurturing mathematical talent. A need-based financial aid programme does not eliminate students based on their board exam marks and helps those who do not have the means to pay for their undergraduate education. Awarding financial assistance to students in need also ensures that applicants from all kinds of socio-economic backgrounds are empowered to be a part of an outstanding undergraduate university. This system also ensures that students that are unable to pay for additional expenses such as books, laptops and meals are covered under the aid. While a lot of international universities across the world offer aid based on affordability, it is still a relatively new concept in India. Ashoka University’s need-based financial aid programme is open to all applicants in need of financial support. The aid offered depends on the financial status of the parent(s)/guardian supporting the applicant’s education. More than 50 percent of the students at Ashoka are studying on financial aid. The programme is delivered in collaboration with University of Pennsylvania, Carleton College, University of California Berkeley, University of Michigan, King’s College London, Trinity College Dublin, Sciences Po, Yale University, HEC Paris, and Wellesley College.